Today's bathrooms are become one of the important space of any house so when planning a new bathroom or remodeling an existing one, it is wise to sit and plan well to get suitable bathroom which can fulfill the requirements of everyone in the home and more user friendly as it should be. •	Will it be a master bathroom or does it have to service other bedrooms also? 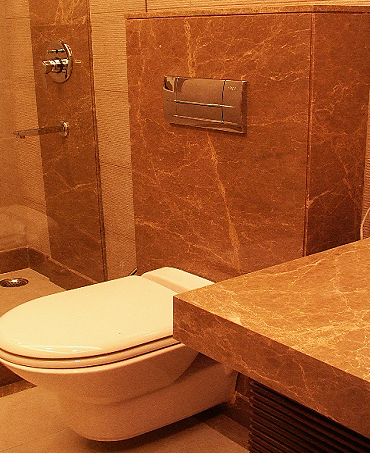 •	How much space can be allotted to the new bathroom? •	Will the room be used for other activities- as an exercise room, a getaway to read in peace, or an extension of the master suite? •	What is the budget that you can afford? Once you have answered the above mentioned questions it's time to write down your ideas and plans on a paper so that your can work according to them and get a strict line to work. Ventilation is the prime requirement of any bathroom because of its inevitable smells and steamy atmosphere you must need a continuous supply of fresh air. The best ventilation comes from windows no matter how big or small they have but they should be there. If you consider about the privacy then install the widows at a higher level though the blinds or frosted glasses are the best option to cover the lower height widows. Exhaust fans are a good way of drying off moisture and providing ventilation. The worst comes when you do not have any window in your bathroom as in case of internal bathrooms to ventilate such type of bathroom read on how to ventilate a bathroom without windows. Lighting is a complex aspect of design and what's more, it is perhaps the factor that most determines the atmosphere of a room. It is advised to use natural light as much as possible usually people prefer bright lights in bathroom but it is not suggested by many interior designers. Ideally you need two kind of lighting in your bathroom – general and directed. Usually architects suggest 30 foot candles of illuminations for bathroom which amounts to just under 4 watts of incandescent lighting or 1.5 to 2 watts of fluorescent lighting per square foot. The most important part of the lighting in the bathroom is mirror, light should fall evenly on the face and not on the mirror. Place lights on both sides of the mirror at face level or place a linear light angled with a reflector above the mirror to direct the light towards face not on the mirror. Storage is another important aspect of bathroom planning as you need a space to store toiletries, towels, bathrobes, brushes, combs, hair dryer, toilet paper and cleaning materials and so on. Bathroom with large space can have many options to store but in small bathrooms you can have floor to ceiling height storage unit and create the niches, shelves, drawers or cupboards for them. 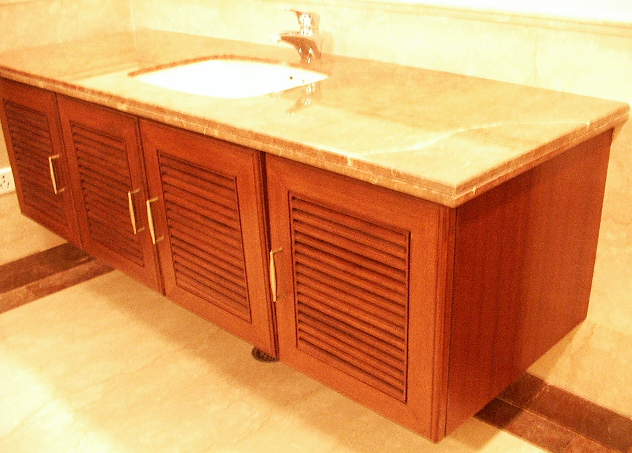 Basins & WCs are the essential part of bathroom planning or remodeling. Select them according to the space you have. The basin should be deep enough from front to back that you can bend over it comfortably for hair and face washing and wide enough to catch drips from the elbows. Tap control should be clearly marked easy to handle and should direct the water well into the bowl. Choose WC model with the quietest flushing mechanism and with longest front to back opening which suits different shapes and sizes of the male and female anatomy. Use new dual flush cistern to save the water. It is good to buy wall mounted WC as you get clear floor space which is easy to clean. Bath and shower: While planning for bath area privacy is the biggest issue so plan your bath space or shower area away from the windows and should be protected from draughts. Bath area should be enclosed on three sides and fitted with a screen or shower curtain to prevent the rest of the bathroom for getting wet. Install the shower mixture and bath water at suitable height and not directly under the shower rose to ensure the adequate pressure. Use thermostatic mixer as it prevents danger of scalding and a grab rail should be fixed to aid stepping in and out tray. Flooring of the bathroom should be the prime concern when you start bathroom planning or remodeling. As it is one of the busiest rooms in a home so the flooring has to hold up to moisture, pure and simple. vinyl or ceramic tile flooring are very durable and have good moisture tolerance, you can also choose Luxury vinyl flooring since these floors offer superior scratch, stain and wear resistance. Stone floors are also very good as it is timeless, hard wearing, easy to care for and available in a huge range of colors and textures, you can also choose Porcelain flooring as it is cheaper then stone floor and also comes in a wide range of colours and look-alike finishes. Wall treatments is essential for bathroom walls to make protect them from dampness and refresh the look of your bathroom. The best is to paint your bathroom walls with bold colors, choose a paint color such as cobalt blue or royal purple. If you have small bathroom then paint it with light colors to get some bigger look. Tile are the best option to give a nice treat to your walls, use Metal tile for a bold look whereas Glass tile adds sparkle and style to a bathroom. Ceramic tiles are cheap and best idea to cove the bathroom walls. Smaller tiles make for more grouting and they are harder to adjust than the large tiles. 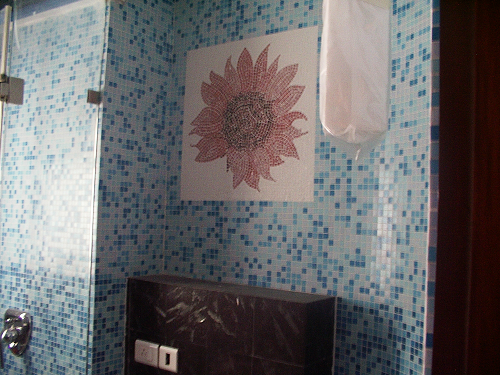 Mosaic tiles also look good as you can create lots of patterns from them. We hope the above mentioned guidelines and ideas will help you to get perfect bathroom no matter how much space and budget you have.